Copyright © 2002-2018 JI1CQA Noriyuki Ito. All rights reserved. Sorry, Now suspending update due to personal reason. Special thanks to 3B8DB, 4O4A, 4O6AH, 7J6CCU, A61AH, A92GR, C31BO, CO8LY, DJ0ACY(JA1RDW), DL6DQW(C98RF), EA7KW(EH7KW), EI3IO(A92IO), EK7DX, ES1CW, ES2RJ, F5NHJ(J28NH), FJ5DX, G4KUX(YA4F), GU7DHI, HA3MQ, HK3YH, IK0FTA, IS0QDV, IZ6BRN(AP2WAP), JA1BK, JA1BWA, JA1DXA(K5K), JA1RJU(BS7H), JA1UIU, JF1IST(A52A), JG1TSG, JH1XYR, JI1NJC(ZK1NJC), JI1UHZ, JK1OBX, JM1IGJ, JN1JFC, JO1PSX, JA2DDN, JE2IIH, JG2BRI(3D2SM, AH3C/KH5J, EK0JA), JG2TSL, JI2EVL, JJ2GAZ, JR2HCB, JR2HOG, JF3MYA, JG3IFX, JH3LBD, JL3IQE, JQ3DUE, JR3HED, JH4IFF, JH4JPO, JH4RHF(BV9P, ZL9CI), JN4MMO, JA5AIE, JR5EPQ, JH6PFY, JR6EXN, JR6GV, JR6HI, JR6VSP, JR6WPT, JS6CDB, JA7QVI, JA7WSZ, JH7VEP, JA8BOV, JE8CIC, JH8LCV, JH8SIT, JL8GFB, JA9SJI, KH7RS(KH6JEB), KK5DO, LZ2DF, N6AW, N7XR(KD7P), OH1ZAA, OH2TI, OK1DO(OK1DDO), OK1MU(TA2ZAF), OK2ZW, PY2XB, PY5CC(PW0T), SM0JHF(D44CF), SM7FJE, SP6GWB, SU1SK, SV9CVY, TF4M, TG9AJR, TK5MH, UA0SC, UK9AA, VY0HL, W0GJ(A52A), W2FB, W4VKU(VU4KV), W6JKV, W7KKE(K7HIX), W7XU(9G5AN), YO7VJ, YO7VS, Z32ZM(Z68M), UKSMG and JARL. 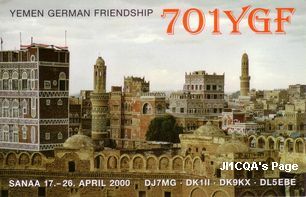 24 7O Yemen 7O1YGF 2000/04/20 11:35 JS6CDB Only 7O1YGF Now good for DXCC!!! 56 C6 Bahamas C6ADV 1982/03/28? 13:? JA1TGS? 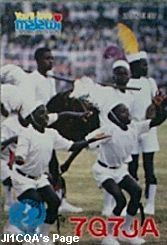 (#2) Only this day? 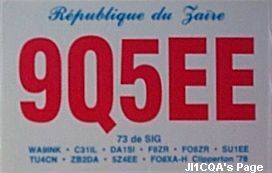 QSO? 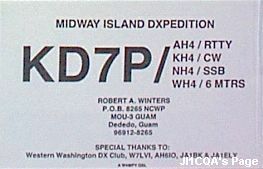 61 CE0Z Juan Fernandez Islands CE0ZIS 2002/02/28 01:55 JH7WCF Only this QSO? 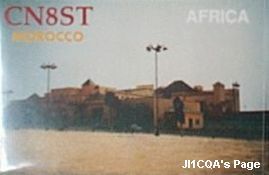 63 CO Cuba CO2KK 1991/10/13 14:30 (QSO?) (#2) Only this day? 120 HC Ecuador HC2FC 1958/03/17 ? JA1ATF? 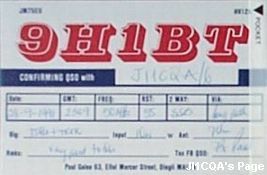 122 HI Dominican Republic HI8DAF 1981/03/10 00:43 JH4JPO But he can't confirm this QSL card. 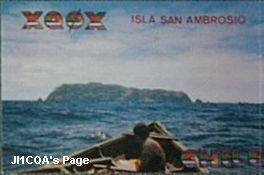 152 KH8 American Samoa KS6DH 1974/04/16 06:30 ? 170 OM Slovak Republic ? 2000/10/26? 07:? ? 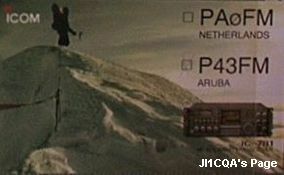 179 PJ2 Netherlands Antilles (Deleted) PJ9EE 1982/03/28 12:50? JA1TGS? 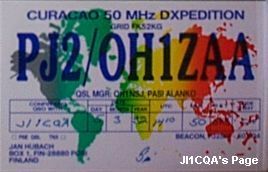 (#2) QSO? 199 T7 San Marino T77GO 2001/10/27 07:34 JE8CIC Only this day? 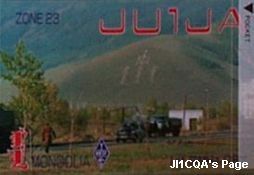 210 UA European Russia RU4CE? 2002/01/21? 09:16? JH0MHE? 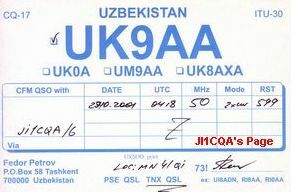 213 UN Kazakhstan UL7GCC 1992/02/22 03:24? ? 219 VE Canada VE7AFB? 1957/11/13? 23:? ? 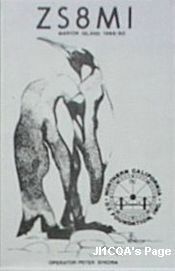 243 XW Laos XW8AL? 1972/05/13? 09:20? JA4THP? 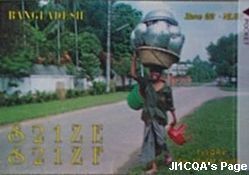 248 YI Iraq YI9OM 2002/10/08 08:17? 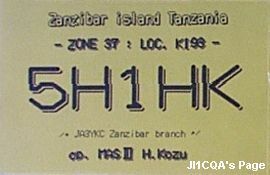 JH4JPO? (#1) This QSO is by "Multi-Hop" Sporadic-E layers. (#2) This is Long Path QSO. 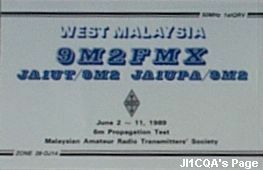 (#3) This is EME QSO. 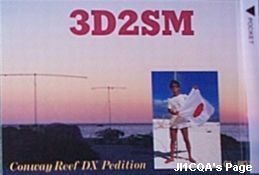 (#4) This QSO is notable record from JD1 Ogasawara Islands. 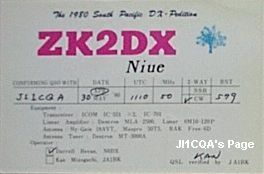 (#5) These QSOs are notable records from Okinawa as KR6-8 Ryukyu Islands era. 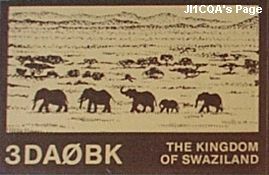 J9AAK(+) was by Major W.O. Brewer. 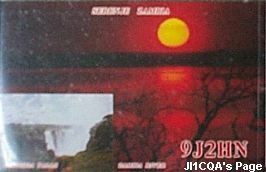 J9AAO(+) was by W3LSZ, Al Diem. 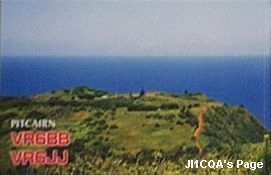 They and KR6AK were U.S. military personnel at Okinawa (Ryukyu Islands). 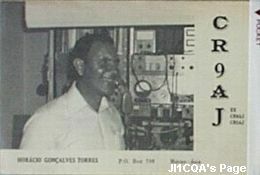 KR8 Okinawa Japanese operator's 6m activities began from Nov.5 1965. 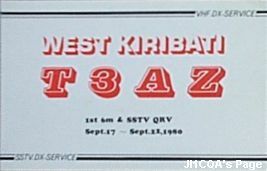 (#6) This QSO was made at 08:30PM United States Eastern Standard Time on Oct.17 1947 according to "The World Above 50Mc" in the QST Dec.1947. It is 01:30UTC Oct.18 1947. 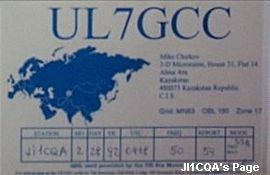 (#7) This is World's First Ever 6m Long Path QSO. 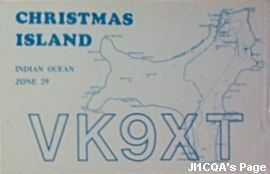 (#8) Genuine first 2way QSO on 6m band in Japan is unknown. 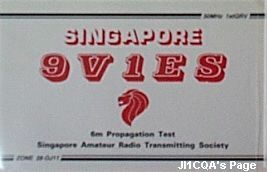 Pre-World War II in 1937-38, some J2 (Tokyo-Yokohama area) pioneer amateur guys succeeded 2way QSOs on 56MHz. 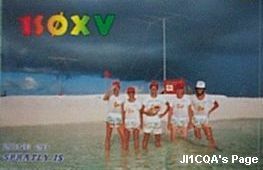 They were definitely scenes of "Genesis of VHF in Japan". 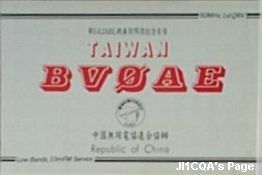 After WWII, all Japanese amateur radio activities were prohibited by orders of Allied Occupation Forces until end of their occupation in 1952. 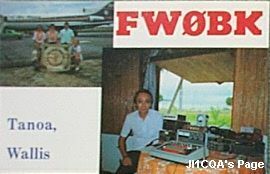 Postwar first 2way QSO on 50MHz band in Japan was made by between Allied Occupation Forces personnel amateurs. 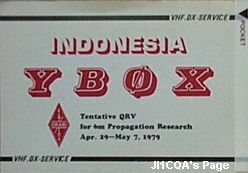 Also first 2way QSO by between Japanese amateurs after restart in 1952 is similarly unknown. (#9) They were Allied Occupation Forces personnel in occupied Japan after WWII. 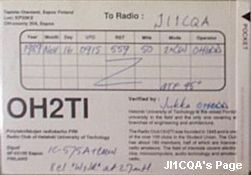 W2CDJ/J2 was from Yokohama, J2AAO was from Tokyo, according to "The World Above 50Mc" in the QST Aug.and Sep.1947. 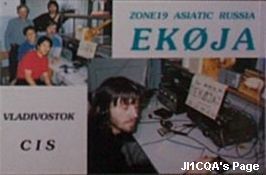 (#10) This QSO is maybe first time by Japanese amateur. 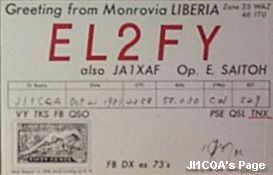 (#12) This QSO was made at 22:52UTC according to "The World Above 50Mc" in the QST Dec.1956 and Jan.1957. 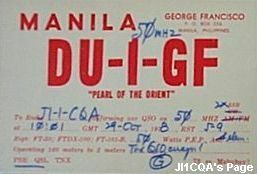 (#13) Guam Island before Oct.31 1962 is counted as Mariana Islands (Now KH0) by DXCC rule. 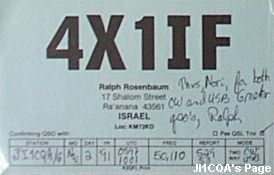 (#14) JA1AUH, JA1AXE, JA1GP, JA2IF, JA2GR and JA2AQ worked KH6PP, KH6NS and KH6BRG at 23:05 to 23:20UTC on Nov.15 1956 according to "About VHF" column in the Japanese "CQ Ham Radio" magazine Dec.1956. 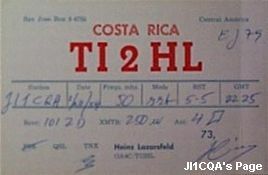 (#15) This QSO was made at 03:13PM Hawaiian Time on Jan.25 1947 according to "The World Above 50Mc" in the QST Mar.1947. 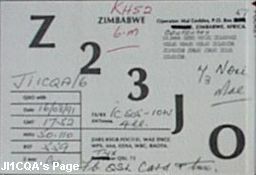 It is 01:13UTC Jan.26 1947. 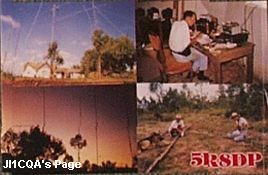 (#16) Several stations worked P5RS7 by 3W3RR, Romeo Stepanenko and his group in Dec.1992. 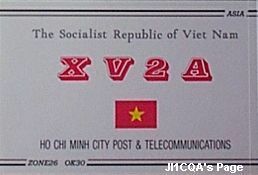 Their QSOs are not accepted for DXCC, because they QRVed from outside of North Korean territory. 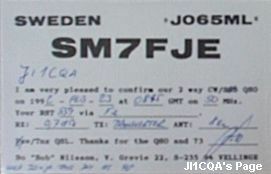 This QSO between P5/4L4FN and JJ2GAZ/1 is genuine World's First Ever 6m QSO from/with North Korea. 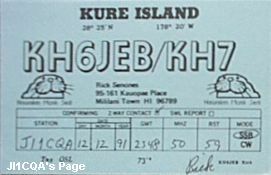 (#17) This KC6SZ was from Yap Island. 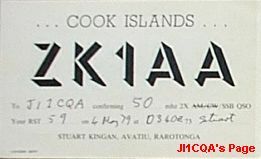 Yap Island until Dec.31 1980 is counted as Western Caroline Islands (KC6), and it after Jan.1 1981 is counted as Federated States of Micronesia (V6) by DXCC rule, due to start controlled by FSM government. 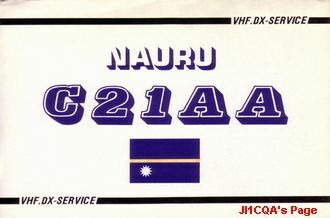 However, Palau (T8) is equal to former Western Caroline Islands (KC6), and Micronesia (V6) is also equal to former Eastern Caroline Islands (KC6) by DXCC rule. 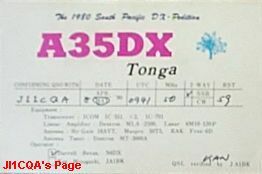 This KC6SX was from Koror, Palau Islands, and maybe first 6m QRV from "genuine" Palau. 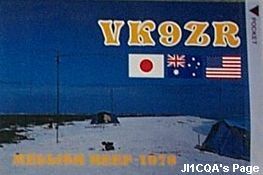 (#18) XY0RR is DX-pedition by 3W3RR, Romeo Stepanenko and his group. 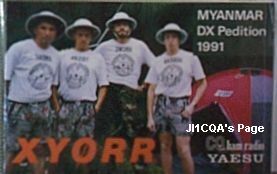 Rumor says, their QRV was maybe from outside of Myanmar's territory, but accepted for DXCC. XZ1N is another "first" after Romeo. 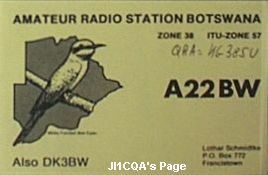 (#23) QSOs by F2 layer are only in Cycle22. 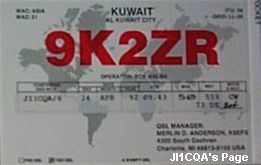 Other QSOs after 2005 are by EME. 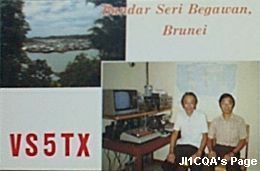 (#24) This is RTTY QSO. 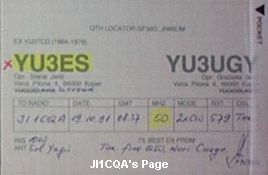 (#25) This is JT65 Mode QSO.